The Ontario horse racing community is mourning the loss of Canadian Horse Racing Hall of Fame, Thoroughbred builder, William (Bill) Graham, who passed away on January 15th. Mr. Graham was a successful construction entrepreneur who achieved great success within Thoroughbred racing including a Sovereign Award as Canada’s outstanding breeder in 2012. As the owner of Windhaven, a 150-acre breeding establishment in Caledon, Ont., Mr. Graham’s most prominent race horses include Sovereign Award-winning fillies Wavering Girl, Fantasy Lake, Cotton Carnival, along with Canadian Oaks champion Blondeinahotel. Last month, the Jockey Club of Canada announced that Mr. Graham along with Gustav Schickedanz were each to be presented with the E.P. 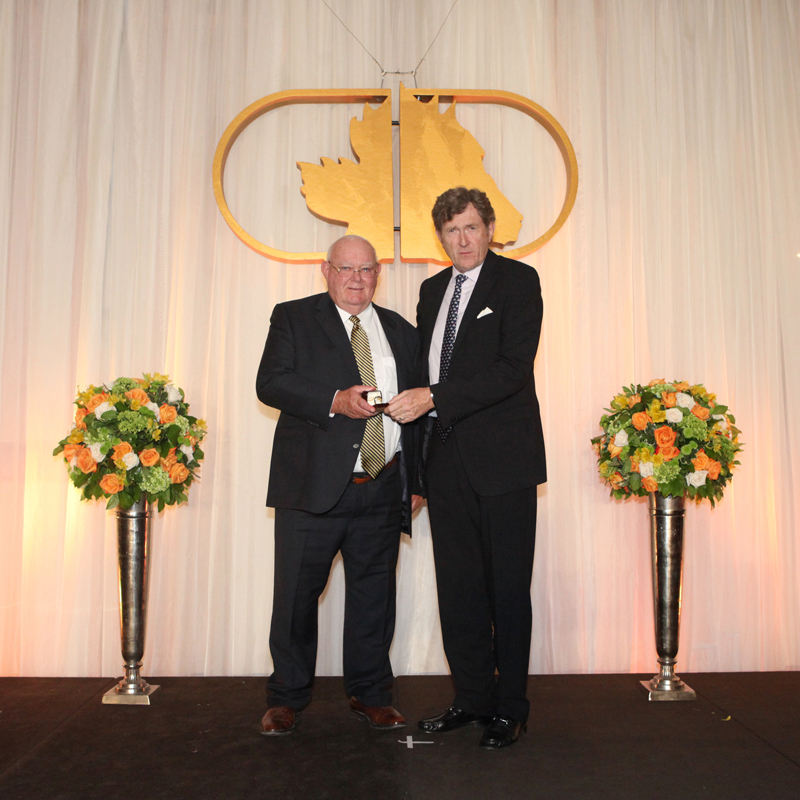 Taylor Award of Merit for their life long dedication and commitment to Thoroughbred racing and breeding in Canada. Additionally, Mr. Graham served on the Woodbine Entertainment Board of Directors for 17 years. Born in Goderich, Ont. in 1937, Mr. Graham played professional football in the CFL for the Toronto Argos, Calgary Stampeders and B.C. Lions. He held numerous influential positions within horse racing in addition to his time on the Woodbine Entertainment Board of Directors including vice-president of the Horsemen’s Benevolent and Protective Association, a director of the Canadian Thoroughbred Horse Society, a commissioner of the Ontario Racing Commission, and as a Steward of the Jockey Club of Canada.